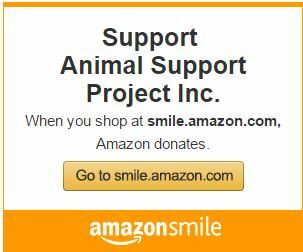 It is exciting to find so many good books about pet adoption on the market. Those of us who live with adopted pets know how much they mean to a family. Perhaps the writer of My Old Dog will follow up with an equally well-built version about senior cats? Let’s hope so. In the meantime, we have an excellent book available now, offering the latest information on Senior Cat Care. 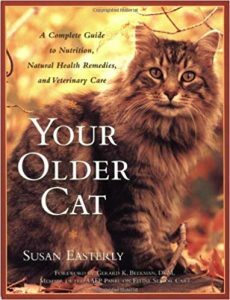 Written by Susan Easterly, Your Older Cat – A Complete Guide to Nutrition, Natural Remedies and Veterinary Care is a veritable Bible of good information for anyone whose cat is reaching its sunset years. With easy to follow tables, resource lists and helpful hints, this book will help any reader get a grip on old-cat topics like the aging process, preventive care, natural healing options, chronic diseases and senior cat nutrition. The suggested reading list is most helpful and the photos are just beautiful. 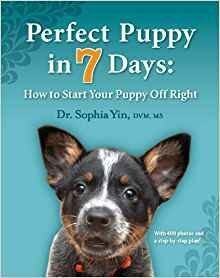 At the opposite end of the spectrum, there’s an excellent book on how to raise a great puppy written by Dr. Sophia Yin. Dr. Yin died a few years back, but she left behind her a tremendous wealth of writings about positive methods in pet training based on the latest research. Being a veterinarian, Dr. Yin also tempers her writings with the physical drivers behind behavior. 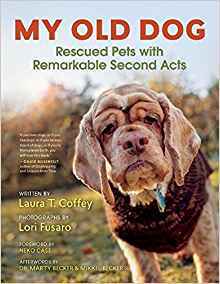 Illustrated profusely with photos and drawings that are easy to interpret, Perfect Puppy in 7 Days – How to Start Your Puppy Off Right not only can help someone raising a puppy to do it right. It also can help the owner of a young dog understand the reasons behind behaviors they may be seeing in their pet, and how they can best modify those behaviors without ruining the dog. Since we like to be even handed in our reviews, we owe it to the felines and their families to mention an equally interesting and well-designed how-to book about cats by Pam Johnson-Bennett: Think Like A Cat – How To Raise a Well-Adjusted Cat – Not a Sour Puss From how to choose a new cat or kitten to how to kitten-proof a home to how to help your vet diagnose your cat’s ailments, this book is the one cat owners will turn to again and again over the lifetime of their cat. 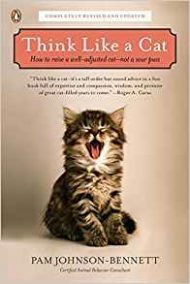 There’s some exceptional material in here about how to not only train a cat, but how to modify and even eliminate undesirable behaviors your cat may have developed. Personally we might have liked to have seen a few more illustrations in this book to break up the text a bit and help the more visual learners in our midst to get the message; but with so much valuable information in this book, we can forgive the lack of images and appreciate the treasure between its covers. Legislative Corner – What is Animal Cruelty?